According to a recent post on DisneyAuditions, it appears Soundsational is heading BACK to Disneyland Resort soon! Disney has yet to release further details at this point. That one has been around for seven years and really should be scrapped for something new. At least it is not the Pixar Play Parade. As much as I enjoy Soundsational (the music is so damn addictive) they should probably send it to WDW. Their parades have really been lacking. The parade is the same old tired set of movies. You always have the fab five, Little Mermaid, Aladdin, Frozen, Princesses, Lion King and random character float (Poppins) and finally with Mickey. It's like they they never made other stuff in 90 years. Let's see Robin Hood, 101 Dalmations, Great Mouse Detective, Wreck it Ralph, Zootopia. It's like with World of Color and all the fireworks shows. Disney has the most impressive catalog of live action and animated films ever but we still see the same clips from the same movies over and over again. What the hell. Where the **** are my Aristocats?! 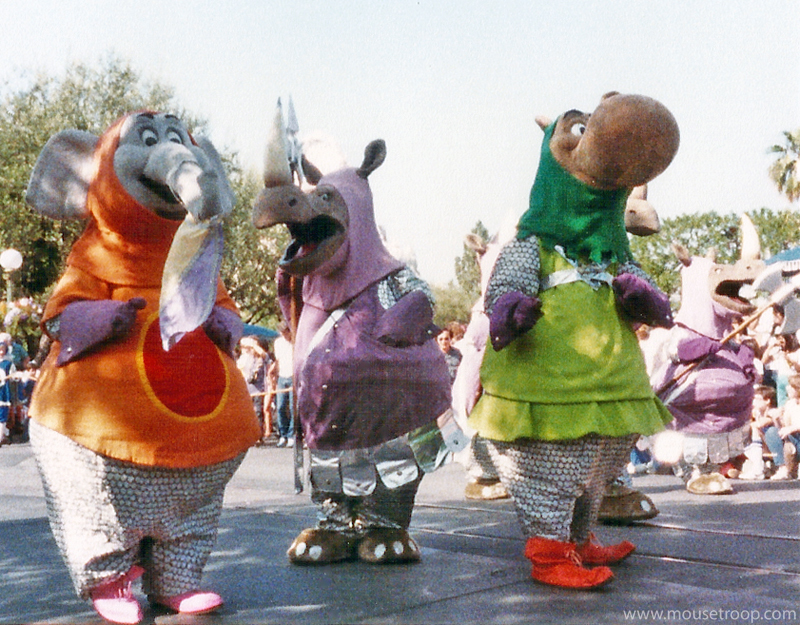 Tokyo Disneyland's former Happiness Is Here parade. Don't even. If they went for "newer" stuff, the parade would be all Star Wars, Marvel and Frozen. You're making me appreciate Soundsational just thinking about it. There are more things in the Disney universe than Little Mermaid, Aladdin, Frozen, Princesses, Lion King and Mickey. 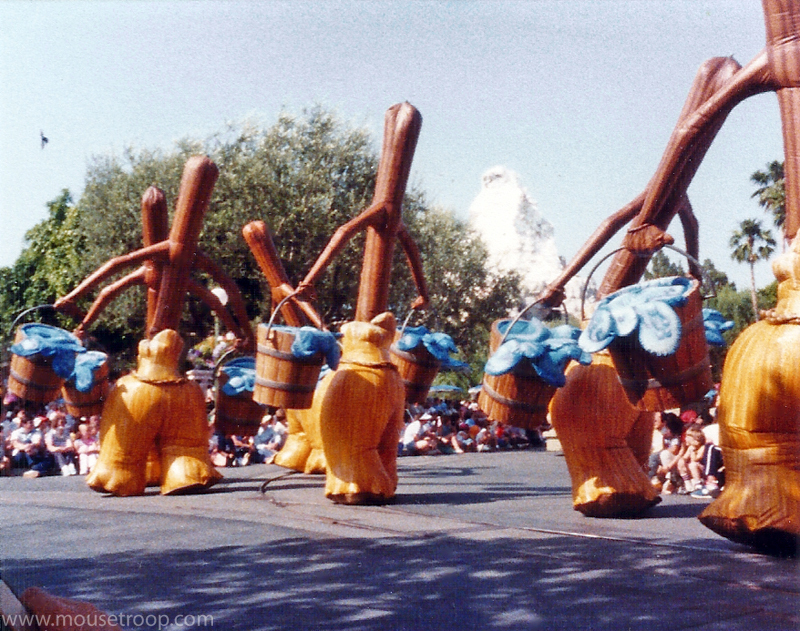 Always felt the 'Princess & the Frog' unit was the best one in the entire Parade, next to the 'Mary Poppins' finale unit. 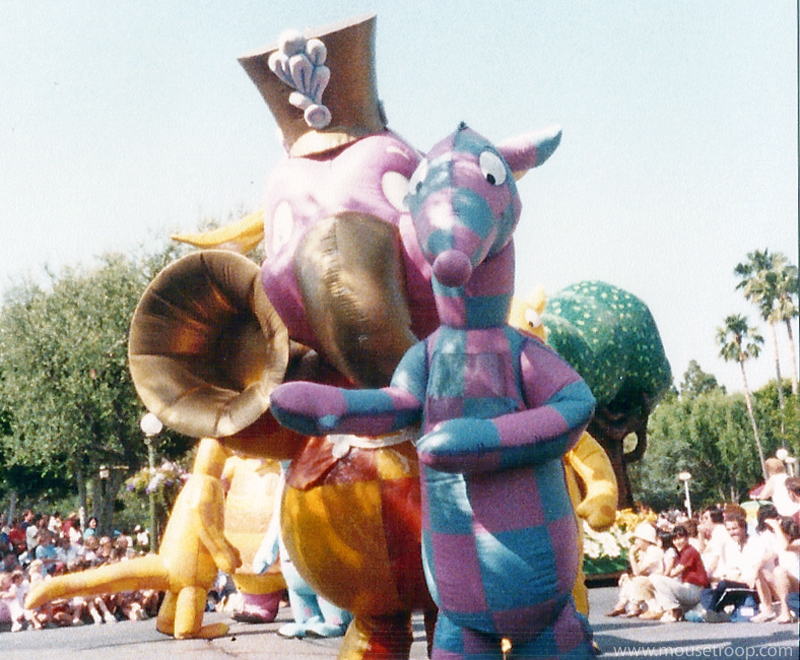 The music, Cast performances, and the characters just 'fit' the theme of that Parade so well in my mind. Nice to see it return. Meanwhile Tokyo Disneyland (Starting in the mid 2000's) and Disneyland Paris (Starting in 2010) gave love to lesser known Disney films and characters such as The Aristocats, lesser known characters from The Three Caballeros and Saludos Amigos, and occasionally Bianca and Bernard from The Rescuers. 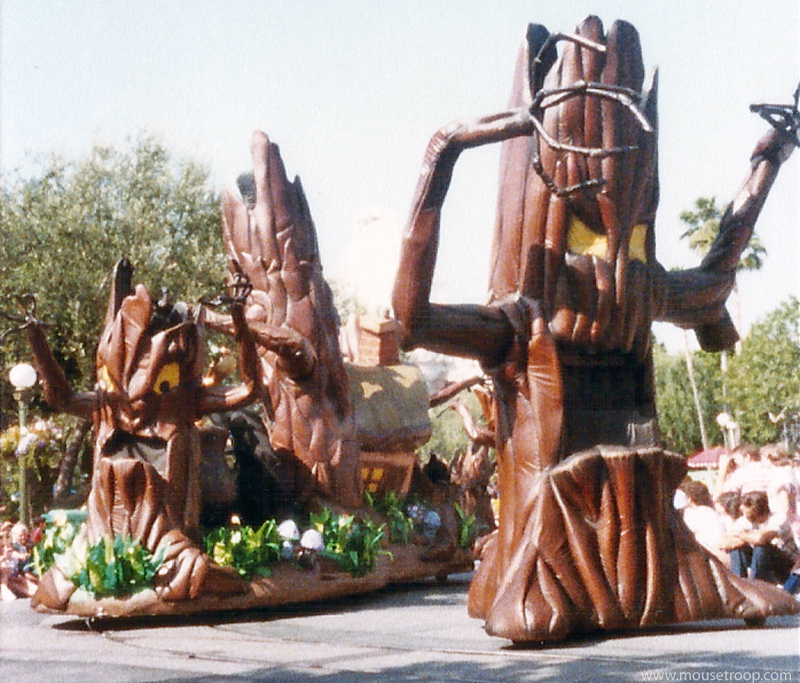 For example, look at Disneyland's Flights of Fantasy Parade from 1983 where it featured a float for the Winnie The Pooh, Sleeping Beauty, Snow White, Pinocchio, and Fantasia, and some of the characters from Robin Hood. 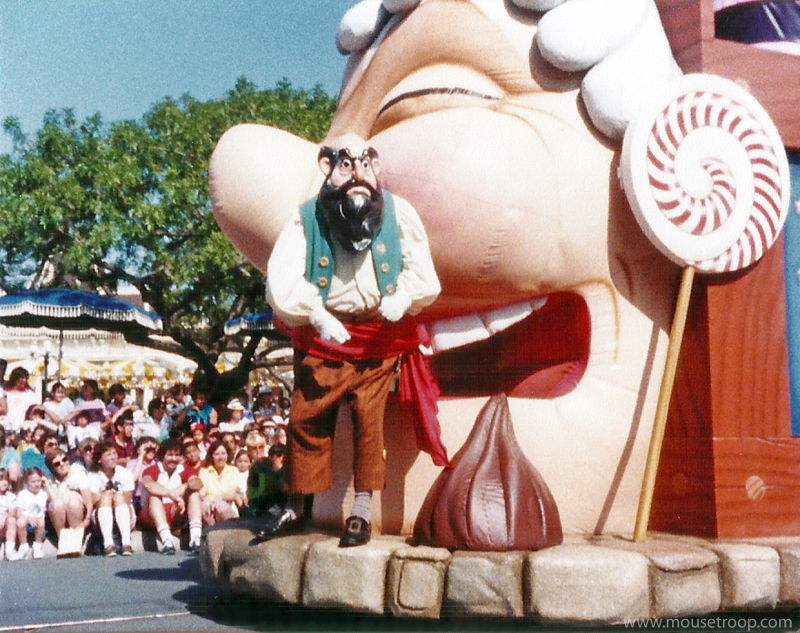 The parade was also made in honor of the opening of New Fantasyland. Rare video footage of the parade. I miss when both Disneyland and Walt Disney World used to give attention to their previous films and characters. Ever since the Disney Renaissance was at it's peak in the 1990's and early 2000's. Disney started using the same animated films for their parades and shows. You hardly see Disney giving attention to any of their films from the 1960's and 1970's that isn't Mary Poppins, Winnie the Pooh, or The Jungle Book. At least you can still see the characters from The Aristocats on the finale of It's A Small World at Tokyo Disneyland Electrical Parade Dreamlights. This is why I really appreciate how Tokyo Disneyland handles their parades since they do a perfect job or using newer Disney animated films while also giving attention to lesser known ones. Find me a Disneyland Paris parade from 2010 (or ever) that had The Aristocats, Three Caballeros or The Rescuers in. And no Goofy's Skeleton Party doesn't count. Neither do one off special events. 100% I think Soundsational should be replaced. But everyone complaining about overused characters in it? The Three Caballeros, Princess and the Frog, Mary Poppins and I'd even say Peter Pan are not overused. What else could realistically be in there? 101 Dalmatians, Alice, Pinocchio and Pixar are the only things that spring to mind. 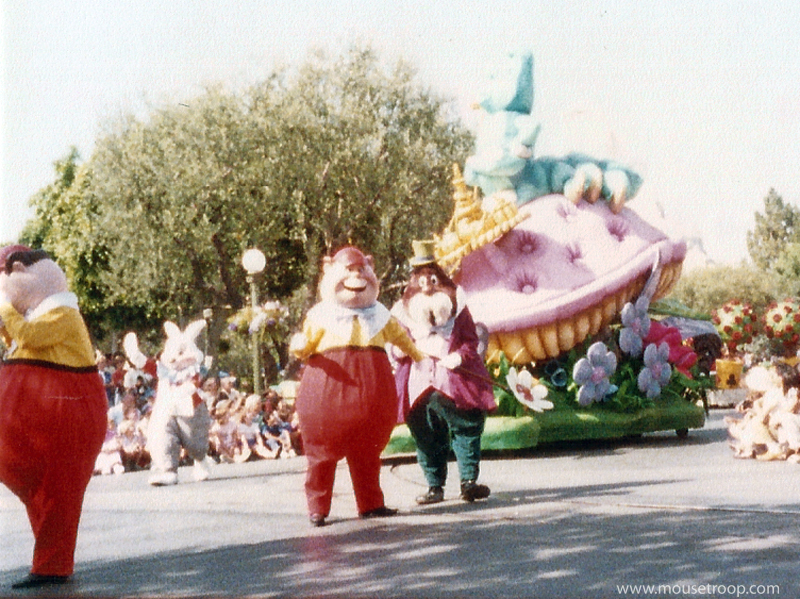 If they made a Rescuers float most guests wouldn't have a clue who or what they are. Peter Pan is pretty overused amongst night entertainment. Mermaid and Toy Story should be banned from any new DLR offerings. In fact they need to be stripped from an offering or two. Frozen, Aladdin, Beauty and the Beast, Monsters Inc. and Cars are over-exposed. I actually think Lion King is a bit underexposed at DLR, surprisingly. Honestly the real money is from the new stuff. Moana, Zootopia, Coco, Jungle Book etc. Let's be honest, they are never going to dip into the pre-Reinessance catelogue beyond the usual suspects. But there are plenty of new popular offerings that aren't Mermaid. It's a shame since The Great Mouse Detective was a very good movie. You have to be realistic. If they did a Black Cauldron or Great Mouse Detective unit few guests would know what they are looking at. It’s just not going to happen. We could use some more variety amongst the entertainment roster for sure, but @BrianLo is right about where that variety will and should come from. Pete's Dragon has been a staple of Electrical Parades for decades despite many not knowing the film, or the remake being a big hit. Some things, like dragons, just translate well to giant floats. Canine features (101 Dalmatians, Lady and the Tramp, etc) not so much. I'd like Disney to focus on creating dynamic looking sets first instead of picking the same 5 movies and shoving them into every entertainment context.